Home › Cosmetic Dentistry › Your Unique Smile, Only Better! If you are unhappy with your smile, it’s time to change that. 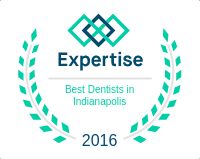 At Dental Care Today in Fishers, we improve smiles with cosmetic dentistry every day. When we design a smile, we carefully analyze the macroesthetics (larger facial characteristics and relationships between bone structure, tooth size, and shape) and microesthetics (more delicate features such as tooth shade and degree of translucency). There is no one-size-fits-all treatment, each smile design is as unique as you are. Whether you have chipped teeth, yellow enamel, a broken dental bridge, or even missing teeth, there are procedures to fix your dental problems. You can have a smile that you will be proud to show off. A smile makeover at Dental Care Today typically involves two or more procedures. These may include porcelain veneers, dental implants, crown lengthening, and teeth whitening. Of course, just one procedure such as tooth-colored fillings can make a world of difference. At Dental Care Today in Fishers, we work miracles with cosmetic dentistry. We also offer general dentistry. Call today to find out what we can do for your smile.